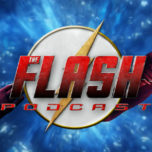 With a big exciting crossover event like the one coming up for CW’s Supergirl, The Flash, Arrow and Legends of Tomorrow, comes a mega podcast crossover! The Flash Podcast, Supergirl Radio, Legends of Tomorrow Podcast and Quiver: The Green Arrow Podcast will be coming together for a special crossover on Thursday, December 1, which is the night of when the 4-show crossover concludes with Legends of Tomorrow. On Thursday, December 1, we will be kicking off the live-show at 10:30 PM EST/7:30 PM PST on our Mixlr channel at Mixlr.com/DCTVPodcasts – the way to listen to it, is either through your computer by using that link. Or you can get Mixlr on your phone which is available for free on both the App store for iPhone users or through the Google Store for Android users. Make sure you sign up for an account which is simple and completely free so you can participate in the live-chat with everyone else! This is where you can submit your questions for the hosts and your feedback about the crossover throughout the live-show. Participating from the podcasts are: Andy Behbakht, Amy Marie, Andrew Dyce, Brittany Rivera, Carly Lane, Kat Calamia. Rebecca Johnson, Tim Geraci and Lauren Gallaway. We hope you are all just as excited for this as we are so please, join us next Thursday night LIVE for one super-show!